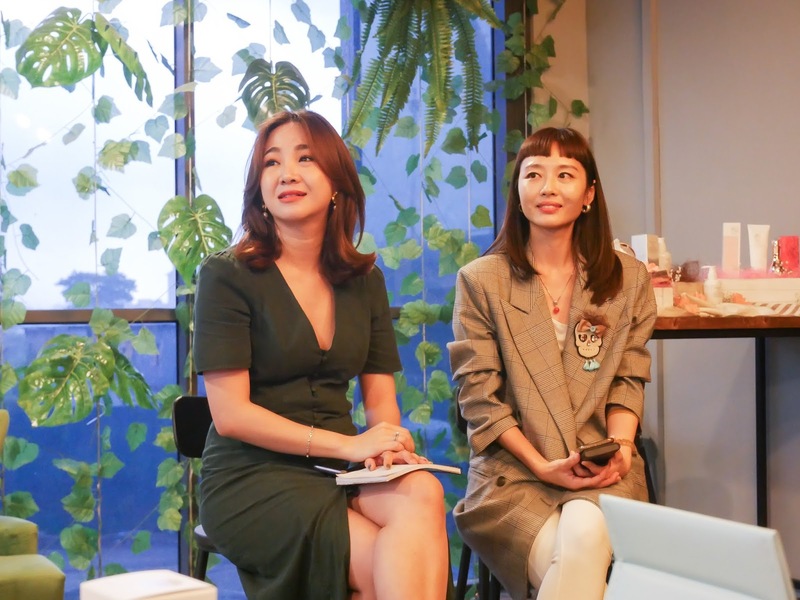 I was invited to attend a beauty workshop that organized by N Star x Missa Queen. The workshop is about learning the new skincare products that brought by N Star x Missa Queen from Korea. N Star x Missa Queen is started by 2 beautiful ladies, Nicole and Missa from Melaka. 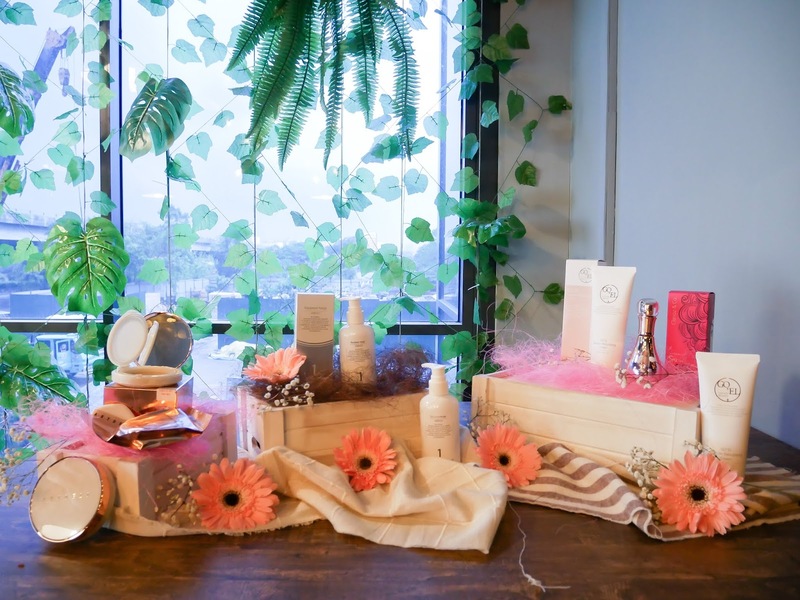 They selected a series of quality beauty products carefully and strictly to guarantee the results and outcomes after using each of the products. 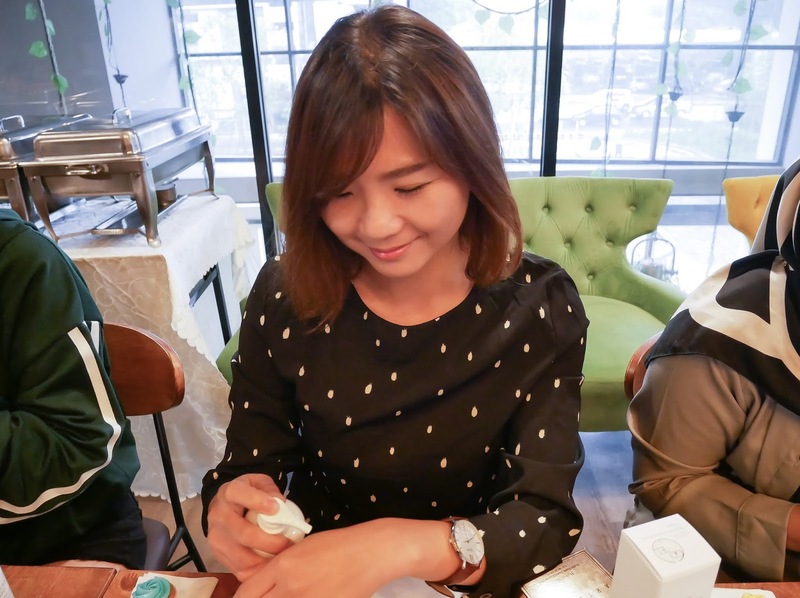 Their product ranges are mainly suitable for Southeast Asian and urban women who are at age 18 to 80 years old. 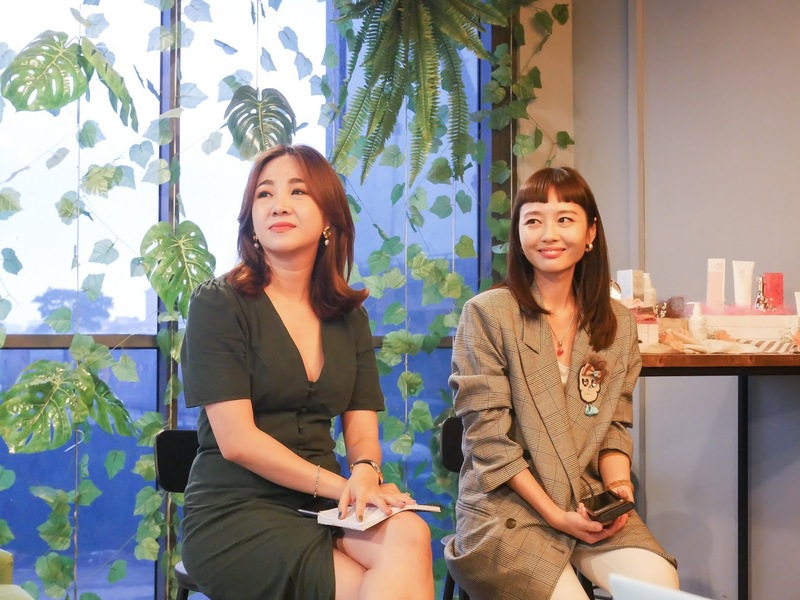 Nicole and Missa think that woman must live confidently and beautifully no matter what, and that's where they started their beauty business. 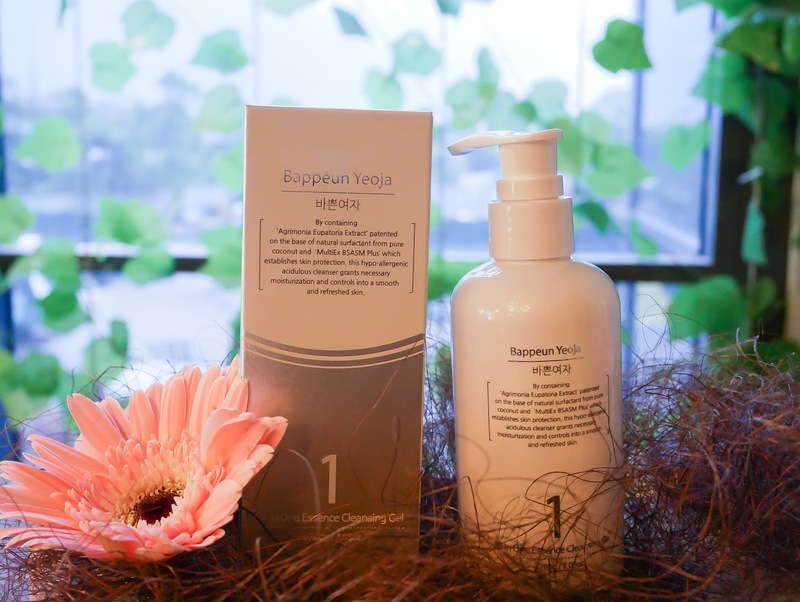 #Step 1: Bappeun Yeoja All in One Essence Cleansing Gel @ RM198 (200ml), is an all-in-one cleanser that suitable for both man and woman. The facial cleanser for sure will change your face-washing routine as it's not only work as a cleanser, but also a makeup remover. Sometimes, we may want to skip the makeup remover when we get back home late at night after work. So this cleanser will be a better solution for us to ensure a clean complexion. Yea, no more excuses to sleep with your makeup on. 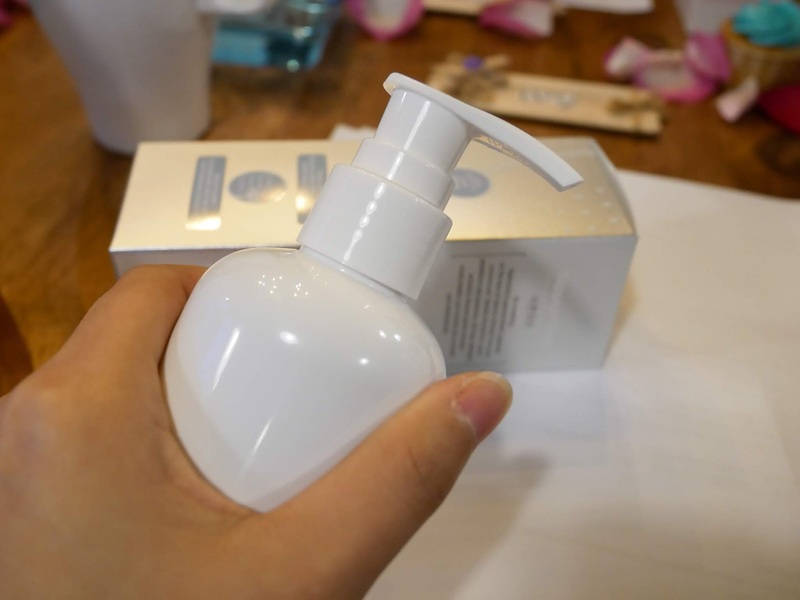 The cleanser is in transparent gel type. It has a mild and gentle texture that enable to erase makeup without irritating the skin. You only need a bit of amount, like 50 cents and then massage thoroughly on your face with a little bit of water. It leaves the skin feeling so soft, refreshed and also looking vibrant! However, for the waterproof makeup such as mascara, it's still better to use an eye makeup remover to melt away the makeup. 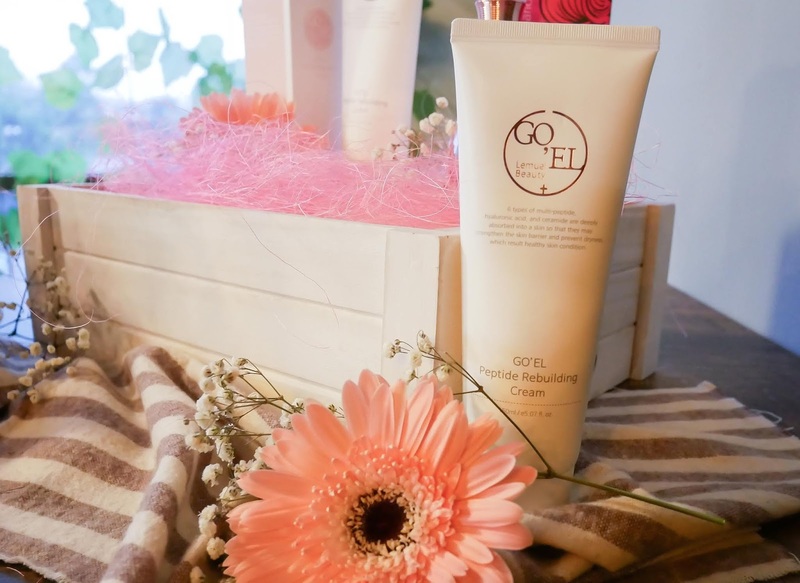 #Step 2: Go'El Peptide Rebuilding Cream @ RM270 (150ml), is the latest premium skin care brand in 2018. The product helps you save time and money on your skin care routine because it contains all the benefits in one single product to make your skin soft, smooth and healthy even you are on a busy schedule. You don't need to use a serum, an ampules or essence before applying the cream, as this face cream contains all your skin needs. It is a multi-purpose skin care product, where it constantly hydrates and moisturizers skin, regenerate cells, removes scars, lighten and also prevent dark spots. The product can also be used it as face mask where the skin can regain it's natural grow after 20 minutes application. You will see an obvious improvement after 2-3 months using it. A bottle of 150ml contains premium ingredients such as purple corn from Bolivia, South America and also Anthocyanodins which helps to restore healthy skin and colour, as well as lighten dark spots. It is said that the product has powerful anti-oxidant which functions 50 times higher than Vitamin E.
Besides, it also contains 6 kinds of multi-peptides, 5 kinds of hyaluronic acid, and ceramic to help strengthen the skin barrier, and also prevent skin from being dry. 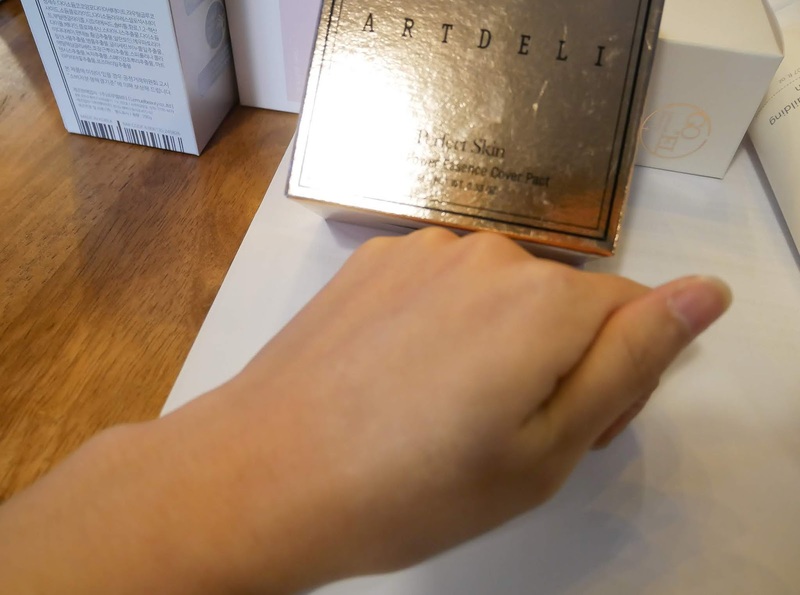 I think it is suitable for any skin types and conditions since the texture is non-greasy yet has a very soft texture when applying it on the skin. 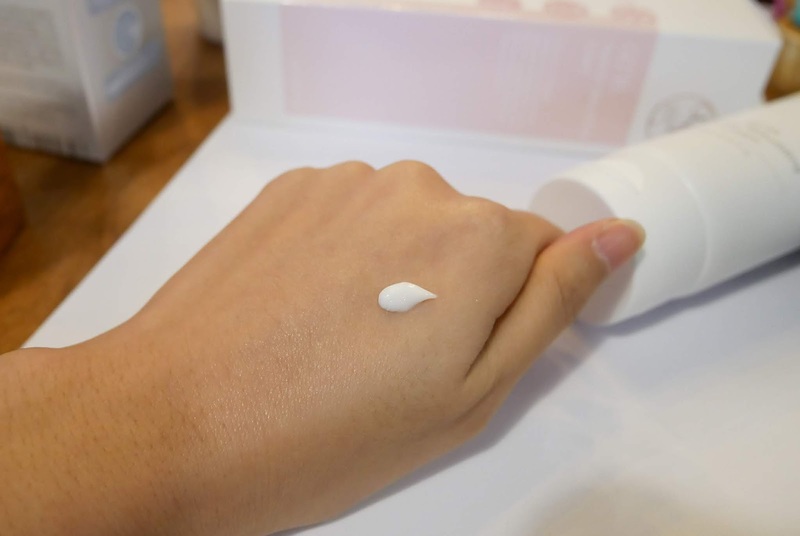 Also, it absorbs deep into the skin very fast, and not as oily as the other heavy moisturizer creams since it contains peptides instead of oils. 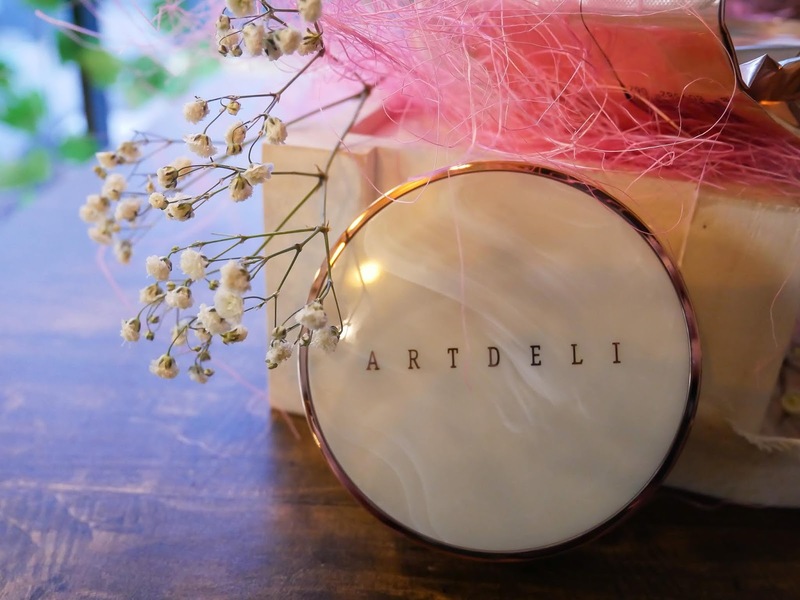 #Step 3: Art Deli Perfect Skin Double Power Essence Cover Pact @ RM169 (121g), is suitable for all skin type and condition. It provides whitening effectively, improves wrinkles and fine lines, and also helps you stay sun safe and block harmful UV since the powder contains SPF50+/PA++++. 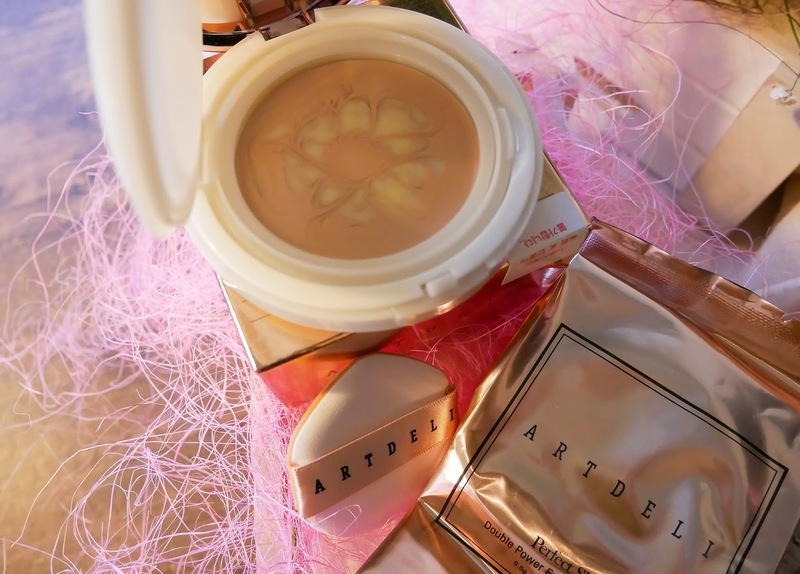 I was kind of surprise when I was told that the face powder can last for total 33 hours to keep your makeup from being absorbed and also give a greater staying power. and also other ingredients such as pomegranate extract, raspberry, strawberry, greenberry aoudubery and other Asia berries too. It is also claimed that it has protein component of 19 Amino Acids which are constituents of differentiated proteins and also different peptides for moisturizing charge up to 59.9%. The powder pack comes with 2 different shades, which are #21 and #23. I have quite a fair skin, so I go with shade #21 because I think shade #23 will be too dark for my skin tone. I pretty like it's overall coverage as it helps to even out my skin tone without giving a super white colour effect. Also, I find the texture is smooth without looking very cakey. 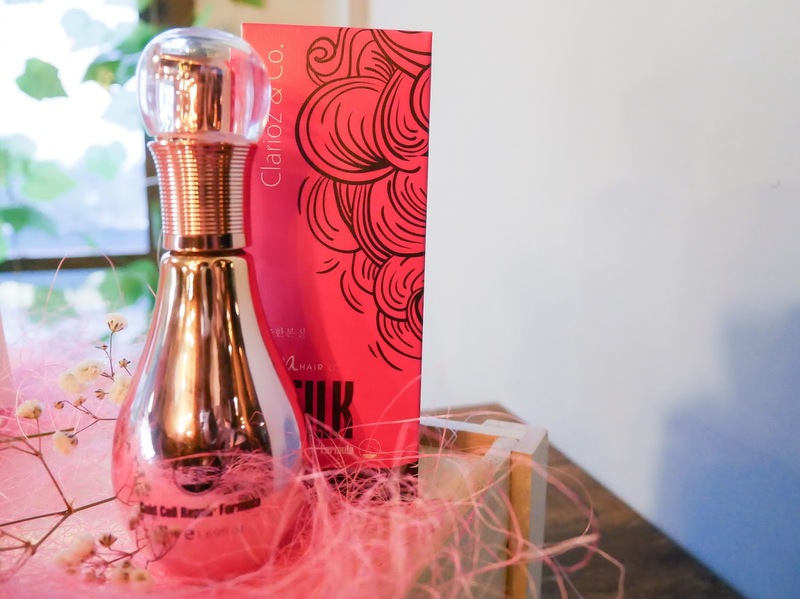 Last but not least, Nicole and Missa also introduced us their best selling product which is the Silk Hair Repair Essence @ RM150 (60ml). Anyway, this hair repair essence is a professional grade treatment that helps transforming the texture of your hair, leaving it soft, silky and luxurious. It works well for all the hair styles, including permed, natural and curly hair. I'm sure that the 3 simple skincare routine from N Star x Missa Queen will definitely help you to maintain a good skin in your daily busy life.